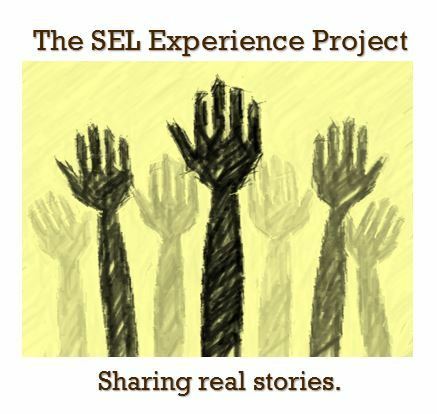 I am a proud product of the SEL school system, from elementary school through high school. Upon graduation from Brush High School in 2008, I was accepted into The Cleveland Institute of Art on a scholarship, and studied painting. Some people would say that pursuing a career in the fine arts after the economic crash was a foolish one—that there are no real career prospects given a painting degree (real being the pejorative term to mean financially viable). I strongly disagree. The creative economy is responsible for over 704 billion dollars of yearly economic growth nationally, and employs over 4.7 million wage and salary workers. These industries range widely from independent artists and galleries, to advertising agencies, design firms, publishing houses, the theater and film industries, etc… the list goes on and on. Beyond strictly arts industry careers, studies have proven that an education in the arts promotes a level of creative problem solving that is useful in the business field. After all, aren’t successful CEOs often-labeled visionaries? I participated in a number of influential arts programs in SEL schools that helped to foster a future passion for a career in the arts. At Greenview Upper Elementary, I started in band, which then lead to playing drum set in the school jazz ensemble at Memorial Jr. High, which lead to playing center snare in the high school marching band drum line. During this time I also developed a deep love for reading and making from the classes I took in painting, darkroom photography, ceramics, art history, AP Studio, and AP British and American Literature. All of these classes and activities created a ripple that began to expand its reach deeper, and deeper into my life. The effects of which were both nuanced and life changing. I found role models in my art teachers and their seemingly never-ending passion for their craft, and dedication to their students. What other public high school had the privilege of working with art teachers who were also professional artists? I saw fellow students engaged in ways that no other subject had previously interested them. The communities that resulted, were built on understanding, thoughtfulness, and non-judgment– and become a refuge for many who felt they had no other source of acceptance. Most importantly, these practices created outlets for self-expression, and in turn, helped to develop self-esteem and self worth for my peers as well as myself. I am currently a practicing artist and the Acting Director of the Reinberger Gallery of the Cleveland Institute of Art. My job is to curate programming that connects with our students and neighboring communities, and to create artwork that I believe contributes to the culture at large. I attribute my career, successes, problem solving skills, and leadership confidence to the strong foundations set by the outstanding arts and liberal arts education programs at SEL schools. I can say with certainty that I would not be the person I am today without these direct influences. You don’t have to look far to find hundreds of research based articles, online and elsewhere, lauding the importance of the arts in an education curriculum. I’m sure you would agree, that given our current climate, one of our best defenses towards hate filled rhetoric, is a robust education in critical thinking and thoughtful questioning. We want to create future citizens who care about their community, have the courage to question authority, generate hope in others, and the vision to build a better future. There are no better role models than the art teachers at SEL schools to help shape this future, and it would be a thoughtless shame to ever lose them. Experiencing photography and painting classes with Ms. Hadley Conner and Ms. Sarah Curry was probably one of the biggest highlights of my high school experience for many reasons. I was a quiet person in high school and struggled to find a place where I fit in. I didn’t want much attention, and the dark room of Ms. Conner’s photography lab was a place I could feel safe and be creative and find a way to express myself. I feel that’s important for high schoolers now more than ever before. It’s really hard to navigate that time. It’s only been ten years since I was in high school but things have moved really fast and changed a lot. Not only were both teachers mentors and friends to me, but their art classes made me a more well-rounded person. It helped with my admission to college. It furthered my understanding of art and why it is so important. Skills I learned in photography class help me to this day. Learning how to set up a scene in a photo is something that needs to be taught in design classes as well. Now when I am designing promotional materials at my job, doing the social media for it, taking photos at events- I can remember the basic tenets of photography that were taught to me then. My painting class was also a safe haven for me 1st period with Ms. Curry. I was always into doing watercolors and things like that but she taught me how to properly paint. This gave me a creative outlet that lasted through my college years and beyond. Now I have to design attractive displays at my library job and the drawing and painting skills I learned and honed in high school allow me to do that. No one ever told me when I was getting my master’s in library science at Kent State that you’d need that creative spark for marketing and museum displays, but it has helped me immensely. It’s those extra skills that help you stand out from the crowd when you’re interviewing for jobs. After high school I completed my bachelor’s degree with honors from Kent State University in 2011. I obtained a graduate assistantship from the Kent State Honors College which paid for my master’s degree which I received in 2013. Since then I have held a library assistant job at the Kent State Geauga campus, then worked for a year as a librarian at Hudson Library & Historical Society. From there I applied for and received a 3 year contract to work abroad at the University of the South Pacific in Suva, Fiji which I am currently completing. I know one of the most important things you need in high school are teachers who believe in you and foster skills in you that you did not know you had. I don’t know if later on I would’ve done as well in school and at university without kind teachers who gave us a way to express ourselves and believed in us. I know many people think the arts are unnecessary or don’t give relevant job skills. But the design and artistic skills I learned aid me every day in my work managing the social media for the library at the University of the South Pacific. I have to create museum displays and being able to put together a cohesive display with images and text is something that is taught through art programs. But- make no mistake- the fine arts stand on their own as well! I may be a librarian but I also know many people from Brush High School who went on to pursue degrees in fine arts and are very successful. My art skills helped me when I applied for the Kent State honors college and then they funded me through my master’s degree. When admissions workers look at college applications they look at you being a well-rounded individual- not just what job skills you may have learned in high school. I often bragged to people after I left Brush that we had better darkrooms and materials than some universities even had. I appreciated so much the chance to learn those skills and find part of myself through art. I needed that as a high school student when I was having trouble at home. There are skills and benefits to be learned in the arts that other subjects don’t touch on. As a violinist I hope that students today have the chance to learn more about the arts- music, film, photography, painting, and more because what kind of a society would we have without the fine arts? Those are the things worth living for, not the mundane everyday jobs we hold. It’s possible to find a job with a way to earn money to live on and still appreciate the arts and grow up learning about them. They should not be defunded, abolished, or replaced with facsimiles of “art classes.” I hope Brush High School would continue their legacy of having stellar art classes for students. It will only help them as they develop into young adults and inspire them to reach further than their everyday expectations.